① Put the okara in a microwave-safe dish, cover it with plastic wrap, and heat it in a microwave for 1 minute. Afterward, take it out and let it cool as is. ② Cut the cucumber into thin rounds, salt them, set them aside for 10 minutes, and then squeeze out the excess water. 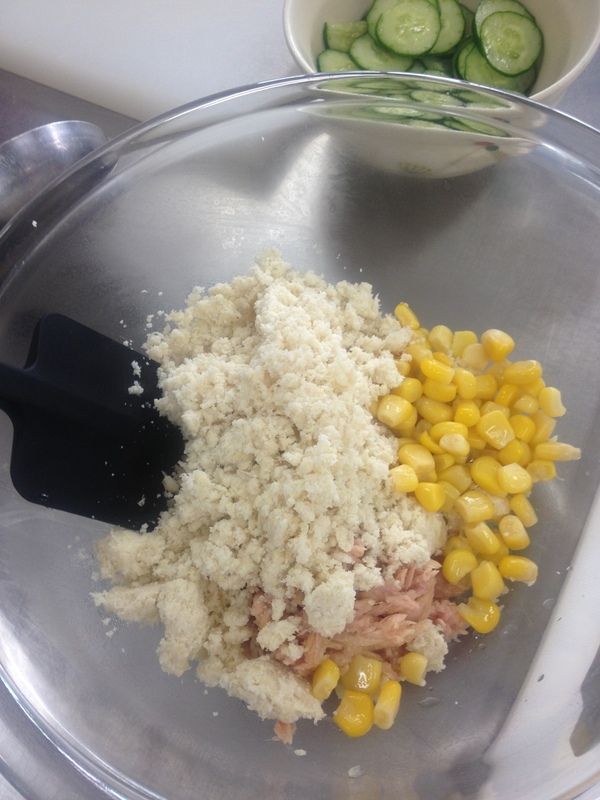 ③ Mix the okara, cucumber slices, tuna, corn, salt, black pepper, and mayonnaise. 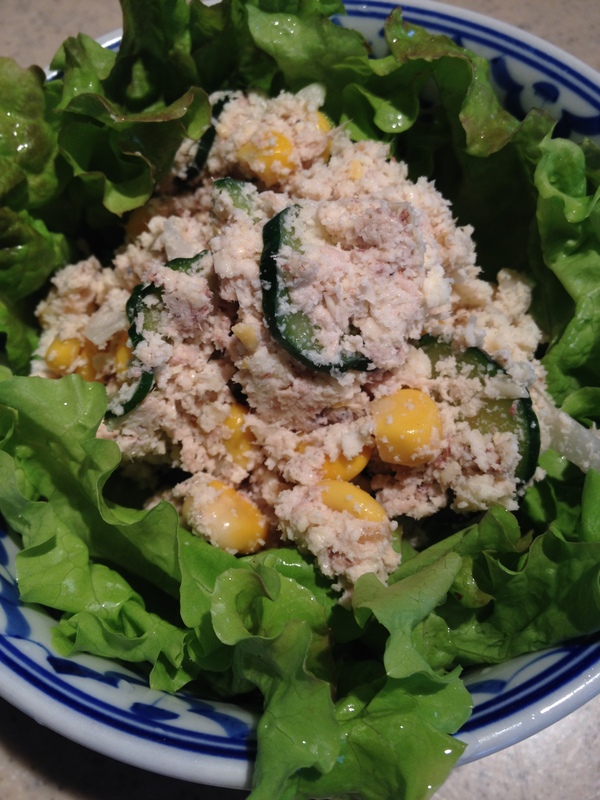 ④ Place the lettuce leaf on a plate and then place the salad on top of the leaf.